When it comes to wedding entertainment you can never go wrong with music and dancing. It’s timeless, it’s universal, and most of all it’s fun, but it’s certainly not the only form of entertainment you can use to enjoy the night with your guests. This is your wedding after all, and one of the only opportunities you get to celebrate with all the closest people in your life at one time. 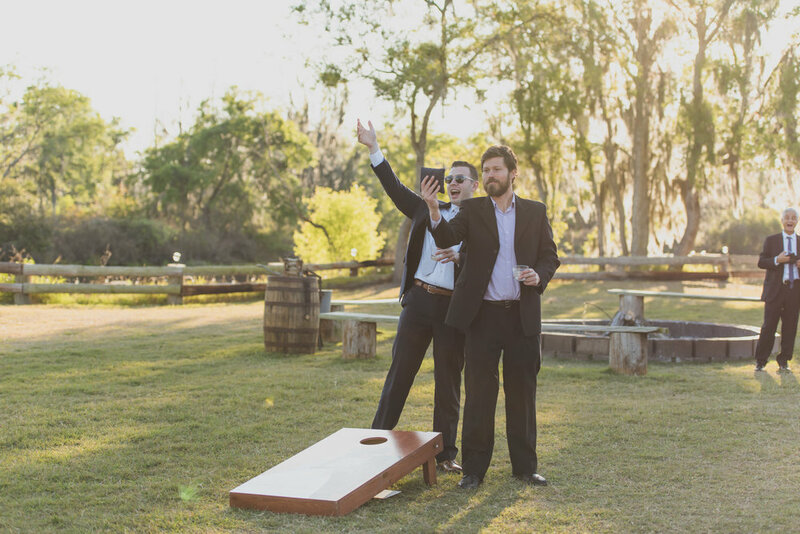 Take advantage of the opportunity by exploring some interactive activities you can incorporate to create an even more enjoyable wedding experience. Music isn’t just a part of weddings because it’s tradition, it’s because your guests want to get up and dance! Encourage some additional participation on the dance floor by setting up a mic and getting your guests singing along to their favorite songs. Most of your guests are already bellowing along to the lyrics, but providing the spotlight for your more enthusiastic guests or those who are more inclined to sing than dance will keep everyone engaged without interrupting the flow of the dance floor. People love to dance along to familiar tunes. Test the familiarity of your playlist and the musical ears of your guests by seeing who can identify songs the fastest. Have the DJ play the first two seconds of a song and whoever is quickest to name that tune wins. The winner can have the privilege of picking the next song or a prize of your choosing. 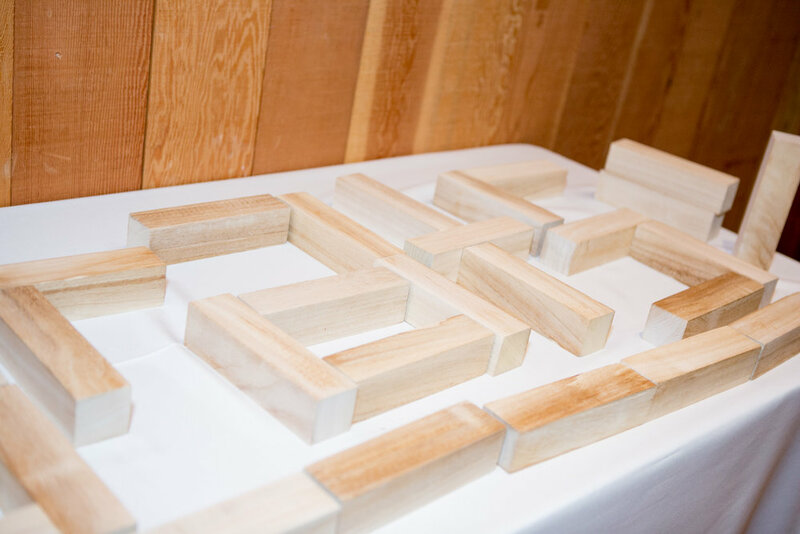 This is a game that can be played randomly throughout the night to keep your guests constantly on their toes and ready to guess! All your guests have their own sense of humor and unique personalities. One way to incorporate that into your wedding is with wedding mad libs. Mad libs are pre-made templates with blank spaces to create oftentimes hilarious fill in the blank stories. The templates can be custom made to fit your wedding, or you can check out printable versions online and simply pick your favorite. At the end of the night, you can collect the cards and have a good laugh, and some heartfelt smiles at the stories your guests created. Your guest list consists of close family and friends who you love and appreciate, but if your wedding is on the larger side many of your guests won’t know each other well enough to share that appreciation. Prompt your guests to mingle and learn what it is you find so special about each of your guests, by getting everyone up and moving for a game of wedding bingo. Wedding bingo consists of creating custom bingo cards that include unique facts about each of your guests. With card in hand, everyone goes around the room to find which guest the corresponding fact belongs to. Once found, they receive their initials in the corresponding square until someone collects enough initials to yell BINGO! This is a great way to get everyone involved and enjoying the company of your favorite people as much as you do and can be the perfect addition to Cocktail Hour! Want to see which of your guests knows the happy couple best? Test their knowledge with bride and groom trivia! This can be a fun yet simple way to pass the time if your guests finish dinner early or need a break from the dance floor. Cards can be placed at the table for each guest with specific questions about the bride and groom. You can even create custom questions for each guest to give everyone an even playing field. Collect the card and whichever guest or table has the most correct answer wins! Your wedding is a celebration and is meant to be enjoyed in whatever way is the most fun for you. You can even make the games you choose a bit more personal by incorporating games from a date you shared or something you enjoy playing as a couple. The options are limited only to your imagination, so explore different ideas and make your wedding the unforgettable party it deserves to be.